A high voting activity (more then 50 %) showed people’s will for changes. Foreign observers reported elections had been orderly and remarkably transparent, voting process had been carried out according to internationally adopted standarts. It was the fifth presidential election in this region since its secession from Moldova in 1990. But these elections were first to include the second round. After summing up and assessing the election process the Central Election Committee declared Evgueny Shevchuk winner. 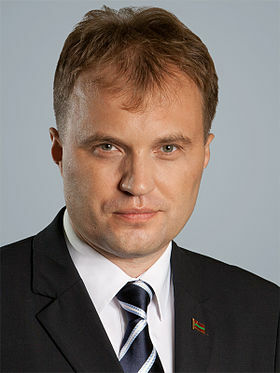 According to the final statement ex-speaker of the Parliament, deputy of the Supreme Council of the TMR Evgueny Shevchuk received 73.88 % of votes, his competitor – speaker of the Parliament, deputy of the Supreme Council of the TMR Anatoly Kaminsky – 19.67% of votes. While being aspirant to the presidency Evgueny Shevchuk announced his desire for transforming social and economic life as well as seeking for compromise in the relationships with Chisinau. Now all these promises will be checked up in practice. Formation of the executive structures and elaboration of the activity program of the government headed by a prime-minister are to take place in the near future.